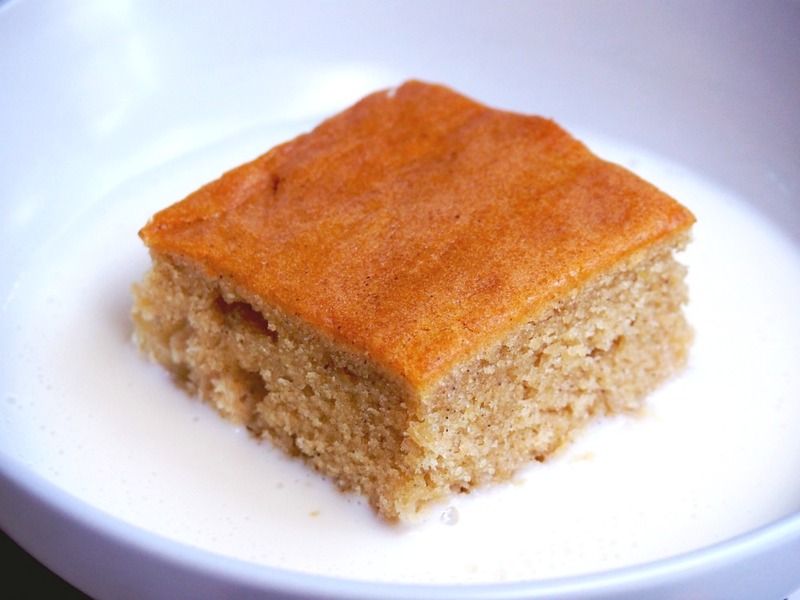 This traditional British pudding is made up from apples baked under a light sponge. It’s an oldie but a goodie. 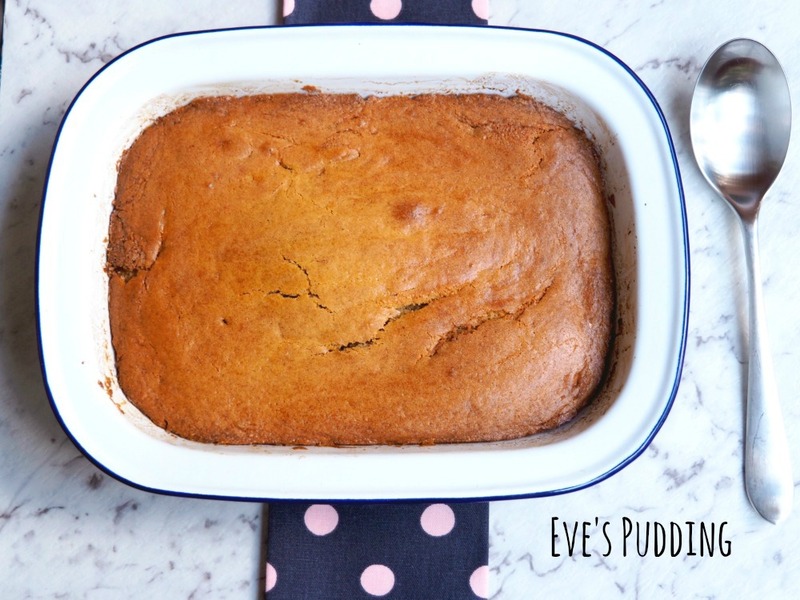 I like to think that this pudding is named after my friend Eve but truth be told, this pudding was being baked years before she was born as early as the nineteenth century. It’s nice to know it’s stood the test of time! 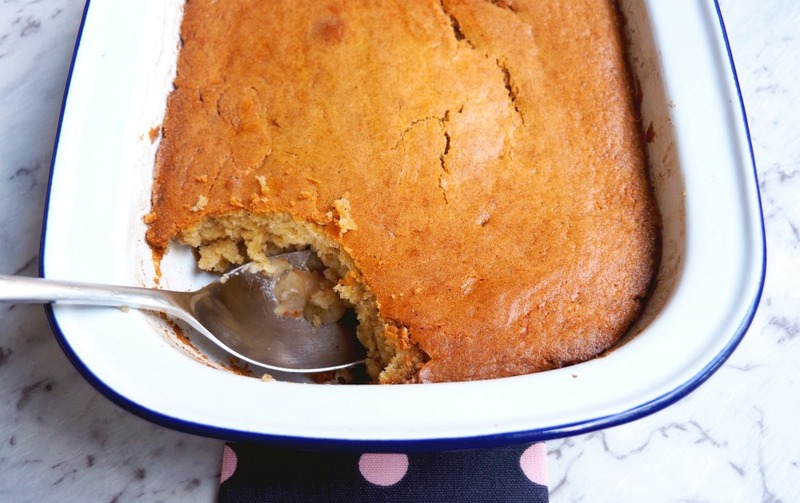 Apparently, it’s also known as Mother Eve’s pudding and I reckon that’s all down to the apple elements of this delicious dish. I have adapted the recipe a touch, adding some cinnamon and sugar to the apples and a little bit of cinnamon in the sponge. In case you hadn’t guessed, I’m a bit of a cinnamon addict but if it’s not your jam, you can skip it altogether. Don’t pass on the brown sugar in the sponge though, it’s what gives this dessert it’s cracking colour and a delicious depth of flavour. 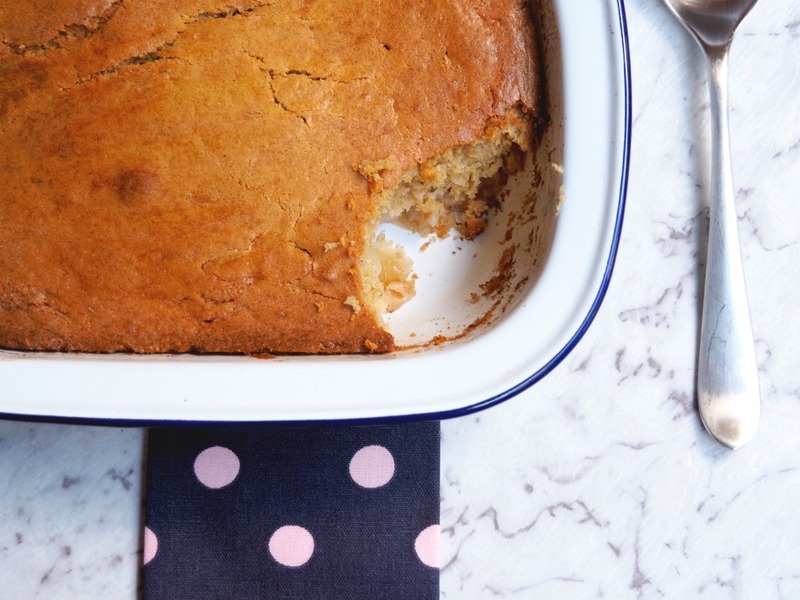 I’ve also added a Thermomix conversion because everyone should be able to have their pud and eat it! I’m a bit old fashioned and like to serve my warm puds with lashings of custard but if you don’t have it or don’t like it, cream or ice cream would be a good substitute. 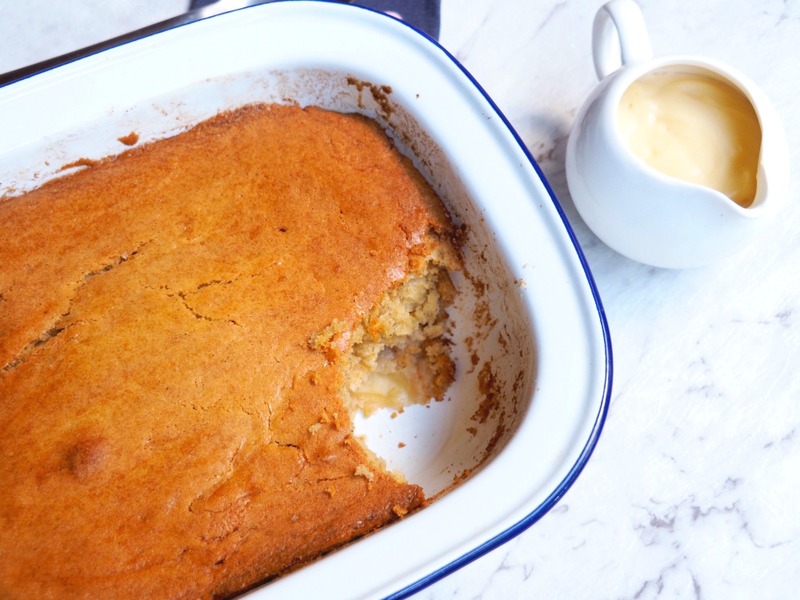 Whatever your name is, I’m sure you’ll love this pud! How do you like your desserts served, with custard, cream or ice cream? If you had a dish named after you, what would it be? Preheat the oven to 180C/160C fan-forced. Use the 25g butter to grease a large serving dish, then peel, core and slice the apples and tip the apples in. Sprinkle with cinnamon and 1 tablespoon brown sugar. 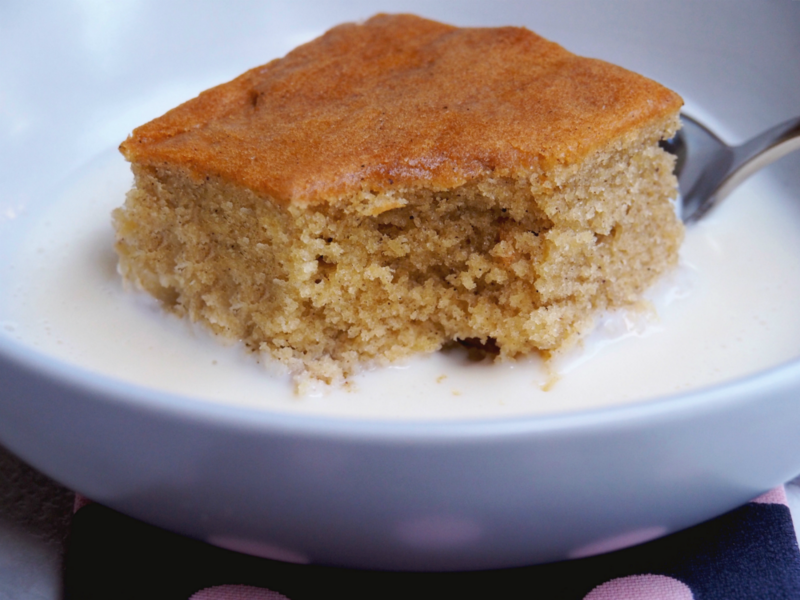 In a separate dish, cream the butter, sugar and cinnamon until the butter is pale and the sugar starts to dissolve. Then gently fold through the flour with a metal spoon. Spoon the batter on top of the apples and bake for about 40 minutes, until golden brown and firm to the touch. Serve with hot custard. Use the 25g butter to grease a large serving dish, then peel, core and slice the apples and tip the apples in. Sprinkle with cinnamon and 1 tablespoon brown sugar . Add the butter to the TM bowl and chop for 5 seconds on speed 8. Insert the butterfly, add the sugar and beat for 3 minutes on speed 4, pausing and scraping down the sides every minute. With the blades spinning on speed 3, insert the eggs one at a time through the hole in a lid. This should take about 1 minute. Add the flour and set to closed lid position. Fold the flour for 20 seconds on interval speed.